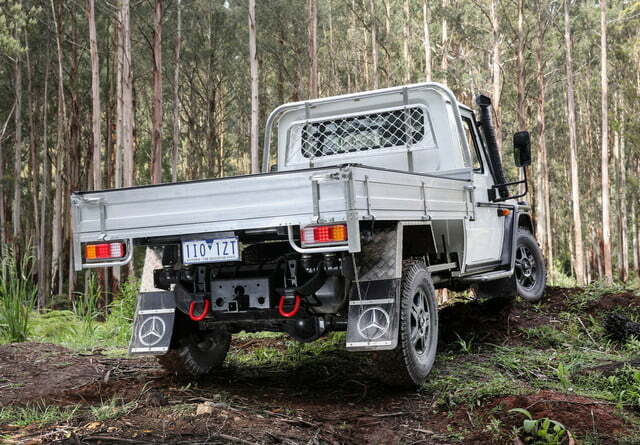 Mercedes-Benz will introduce a body-on-frame pickup truck named X-Class next year. 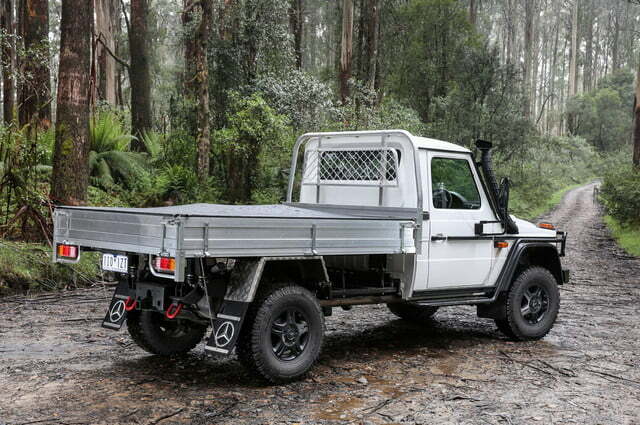 For those who can’t wait that long, the company’s Australian division has just launched a cab-chassis variant of the indestructible G-Class that can be fitted with a pickup bed. The model is called G300 CDI, and all it takes is one look to tell it was designed to work hard. 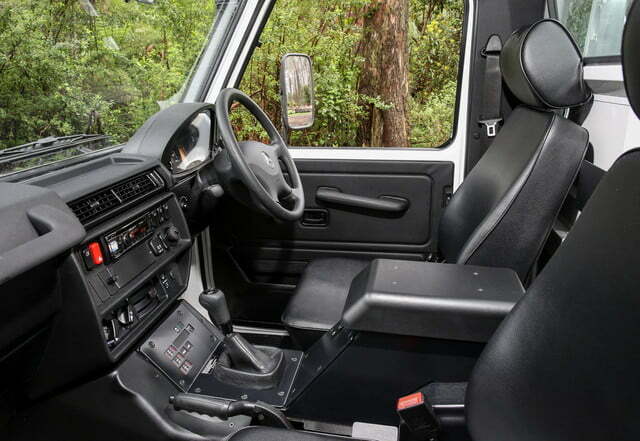 It eschews the eye-catching chrome trim of the high-performance G sold here and instead adopts a more functional look characterized by a black grille, black trim on the sides, and 16-inch alloys wrapped by meaty all-terrain tires. 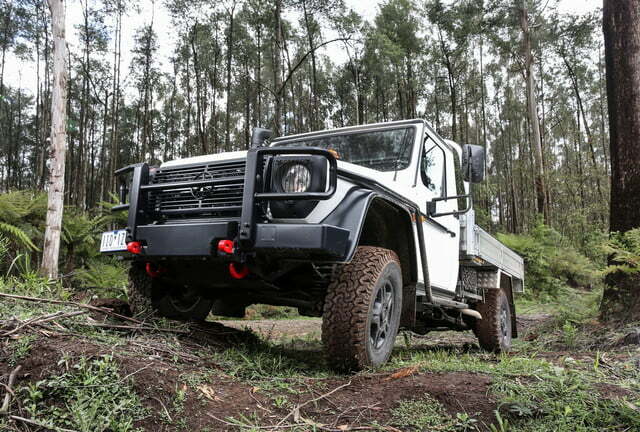 It comes ready to tackle even the most challenging terrain thanks to a bull bar — a necessity out in the Australian bush –, a skid plate that protects the oil pan, and a snorkel that allows it to safely drive through nearly 25 inches of water. 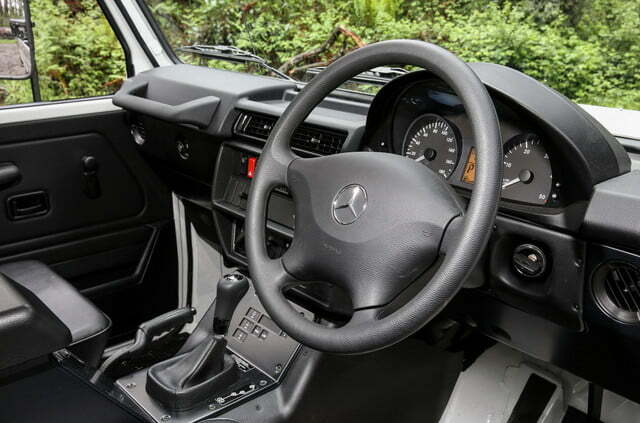 Motorists who drove a G-Class 30 years ago will feel right at home in the 300 CDI model. 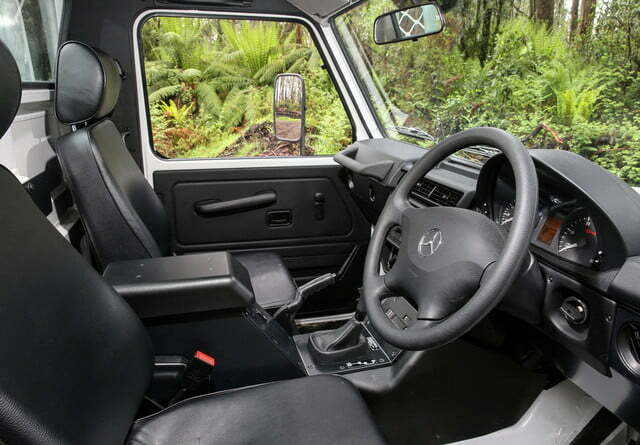 A perfect illustration of form-over-function design, it offers a simple cabin with durable vinyl upholstery on the seats, rubber floor mats, two drain plugs, and a basic panel on the center console with switches that let the driver choose which of the three differentials is locked, among other functions. The no-nonsense, utilitarian design is precisely what its target audience is looking for. Don’t expect to find a powerful, AMG-built engine under the hood. The G300 CDI is powered by a 3.0-liter turbodiesel V6 engine rated at 181 horsepower and a 295 pound-feet of torque. The six-cylinder sends its power to all four wheels via a five-speed automatic transmission, and a full-time all-wheel drive system with a 50:50 front-rear split as well as a dual-speed transfer case. The G300 boasts approach and departure angles of 38 and 35 degrees, respectively. 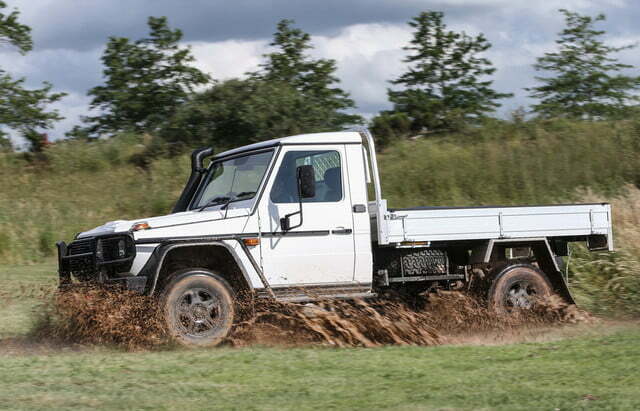 It can carry 4,596 pounds, and it can tow 4,872 pounds when it’s properly equipped. 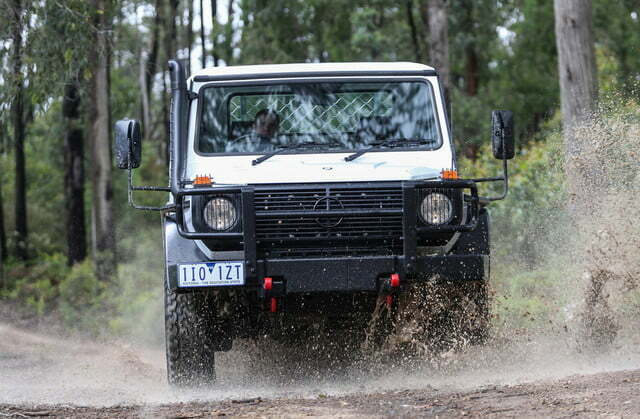 Built by hand in Austria, the Mercedes-Benz G300 CDI is on sale now across Australia. 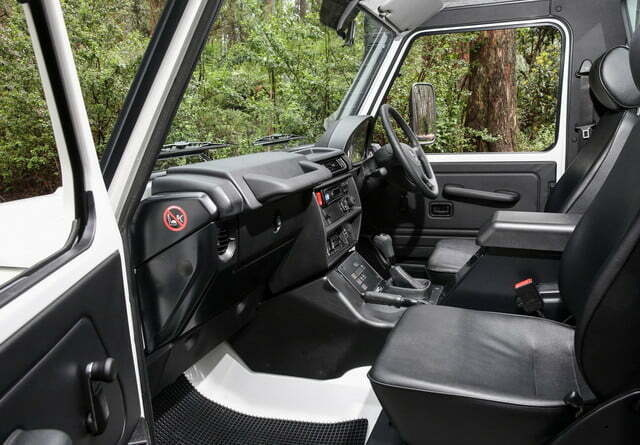 Pricing starts at $119,900 Australian dollars, a sum which converts to nearly $90,000. 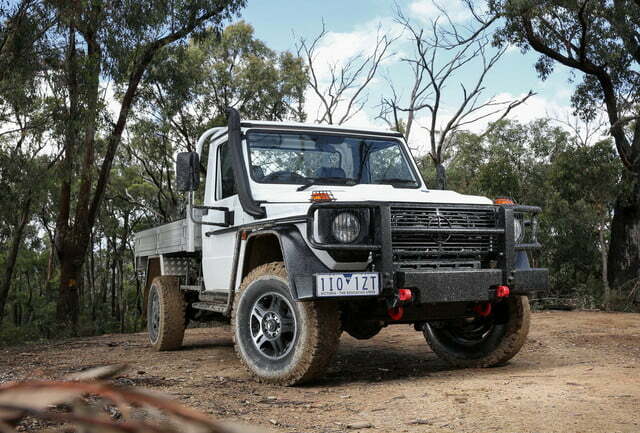 Down under, it faces competition from the immensely popular Toyota 70-Series Land Cruiser, another highly-capable off-roader that has been in production for decades. The newest addition to the G-Class lineup might be sold in a handful of other markets around the globe, but it stands virtually no chance of ever seeing the inside of a Mercedes showroom in the United States.